It took an act of Congress. But the children of Washington were finally welcome to sled on Capitol Hill. A major blizzard hit Washington. 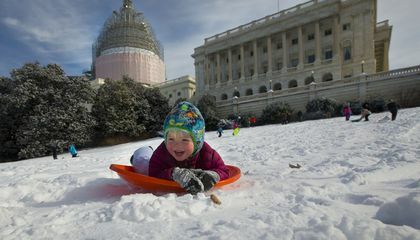 The U.S. Capitol Police said Jan. 21 that they would not enforce a sledding ban. The law forbids sledding. The ban is to protect the Capitol grounds. But legislation cleared Congress in December. Lawmakers told the cops to chill out. In prior years, Capitol police officers reluctantly enforced the ban. Last year people held a "sled-in." It had the full support of Washington's nonvoting delegate. She is Democrat Eleanor Holmes Norton. A group of media covered the story. The police stood aside. They avoided the embarrassment and media coverage that would have come from breaking up the fun. Enter the powerful House Appropriations Committee. Its chairman has an office that overlooks a prime sledding spot. The panel added language to a government funding bill. The bill told the Capitol Police to "forbear enforcement" of the ban "when encountering snow sledders on the grounds." The police were still there. This time they watched to make sure the kids were having a safe time of it. What makes Capitol Hill good for sledding? It's cool that they let the people sled even though it was once band there. 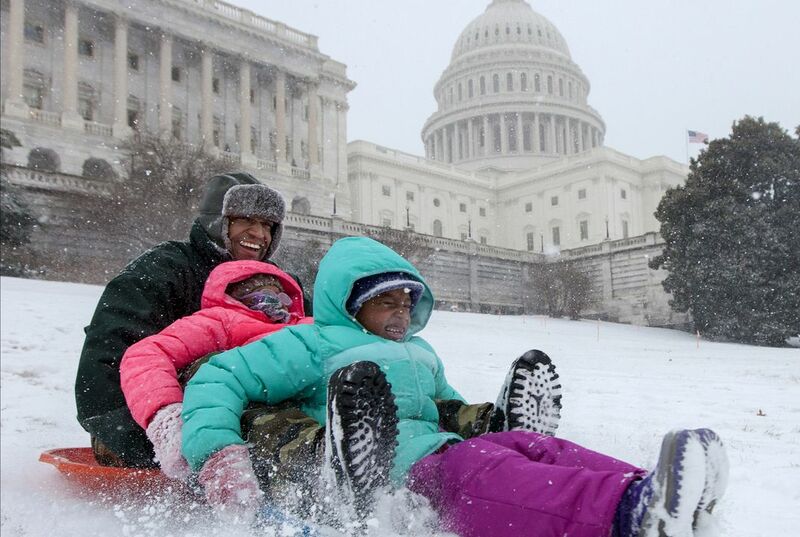 The capital hill is good for sleding because there is plenty of room. the capitol grounds is a good place for sledding because it looks like the sled spot is very steep and has a lot of snow. The chairman of the house of appropriations committee "has a office that overlooks the prime sledding spot." They say that there could be many feet of snow this winter. i think this article is very cool because the government is letting the little kids go sledding.